When it comes to gate automation solutions, there are many technical options available. These alternatives differ in a range of ways, and there will likely be a different ideal solution depending on the gate in question. Here, we take a look at some of the benefits that an articulated arm automation solution can provide to your gates! While at first, an articulated arm may appear overly large compared to other options, it makes up for this with incredible reliability. An articulated arm system is one that uses a two-piece arm extruding from a mounted motor, usually attached to the gate post. The end of the arm is connected to the gate and, when activated, the mechanism will fold in on itself, pulling the gate back. Generally speaking, articulated arm systems are amongst the most dependable options due to their simplistic design. They are also often amongst the fastest gate opening mechanisms available, which make articulated arm automation solutions particularly popular amongst businesses. Again, thanks to its simple layout, maintenance on articulated arm systems is often much more straightforward compared to other systems. While it still requires training and expertise to maintain, the external nature of the system – as opposed to underground automation, for example – means that if the motor does encounter difficulties, no significant amount of disassembly is required before it can be up and running again. 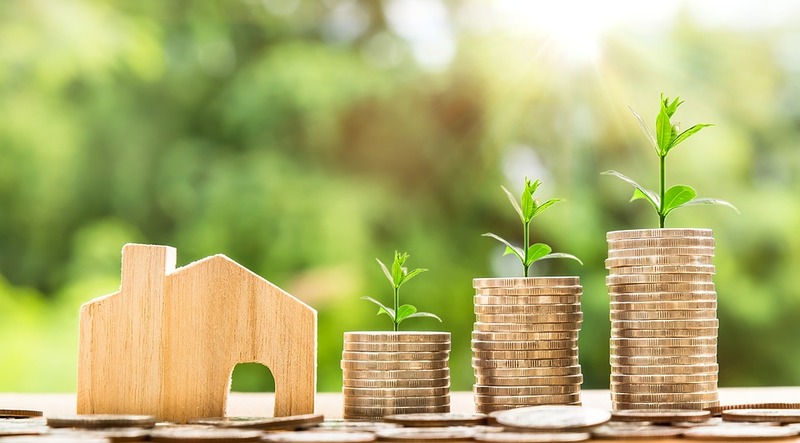 This simplicity makes it a popular option for homes, while businesses will also take comfort in the fact that any issues can be resolved with minimal hassle. Another reason why people and businesses often choose the articulated arm solution over more aesthetically-pleasing options is its incredible versatility. Much of this is down to the ‘elbow’, the two-piece design of the operating mechanism’s arm. This unique layout allows for a tailored fit, which is ideal for gates in awkward locations where alternative options, such as the straight ram arm, wouldn’t be suitable. 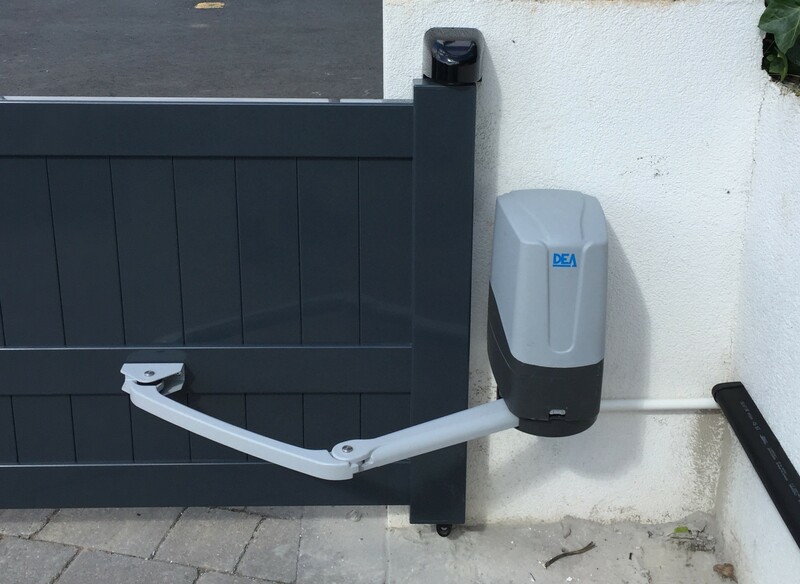 This is another reason why articulated arm gate kits are frequently used when people are looking to automate existing gates, especially older builds. For example, if a gate’s hinges are set in deep columns or against old walls where a ram arm could have difficulties and an underground system may not be suitable, an articulated arm often provides the solution. There are also a range of different motors available, with narrow designs to fit certain posts and varying arm movements to suit all spaces, such as the Erreka Ciclon. Therefore, while it is worth remembering that this mechanism’s arm needs room to manoeuvre, there are more than enough options available to overcome this. 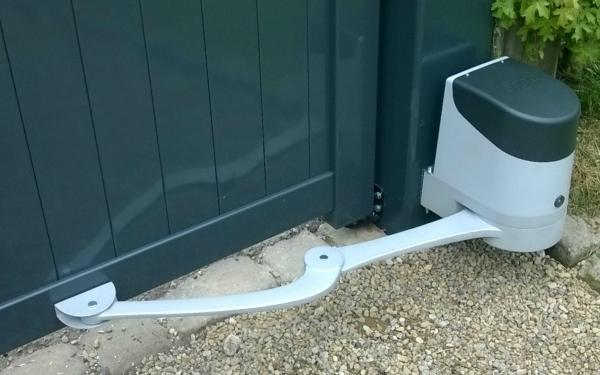 Another reason why people often choose articulated arm automation for their gates is that it is usually one of the most affordable options available. Of course, prices differ depending on specific kits and the needs of the gate, home or business, but as a general rule of thumb, articulated arm systems are a cost-effective option, especially when compared to underground alternatives. Not only are articulated arm automation kits affordable, but they are also relatively simple to install, thanks to the simplicity of its mechanism. As with maintenance, installation should only be undertaken by a professional; however, the kit’s simplicity will help reduce the time it takes to set up. This, in turn, reduces the costs of labour, both for the installer and client. This is a simple overview of some of the benefits available when choosing articulated arm automation for your gates. Put simply, this option is a hugely reliable choice, offering significant advantages in versatility, easy maintenance and reduced costs. What it lacks in modern aesthetics it makes up for in effectiveness, while the bulky motor can be easily covered by decorations such as bushes, leaving only the arm visible. When you take into account these points, this is a system that should always be considered for both home and business. 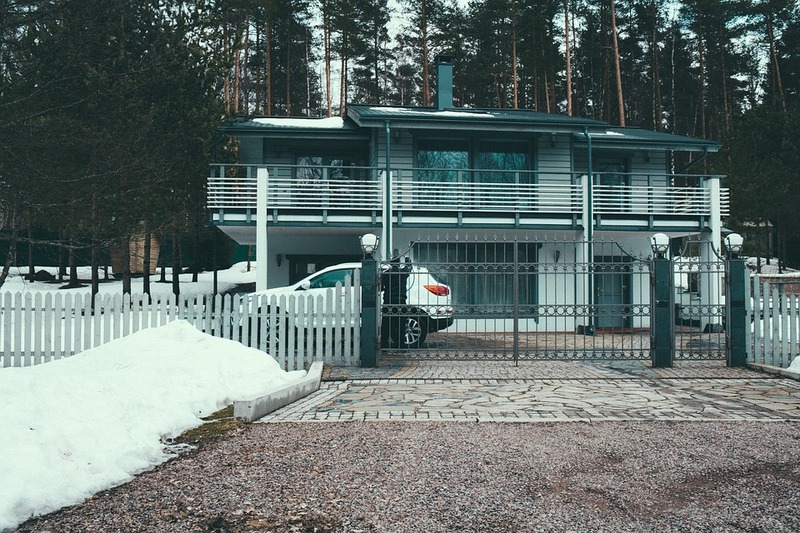 Of course, when decided on the correct automation system for you or your clients, it is always helpful to seek advice, and here at LinkCare, we are happy to help you choose the correct option for your gate. We have a range of electric gate kits available for all needs and budgets, while our trade prices will ensure that you can offer a competitive price to your clients. Get in contact with us today to further discuss the options available. Alternatively, read our earlier blog on choosing the right gate kit for a brief overview of all the options available.